LOS ANGELES -- "Ralph Breaks the Internet" may star an arcade bad guy with powerful hammer-like fists, but the animated sequel is also packing a punch with strong female characters. Sarah Silverman, who returns as the voice of Vanellope von Schweetz, credits Disney for including more impactful female roles in the new film, which comes out Wednesday. Her character is one of the leading ladies, along with new cast members Gal Gadot's Shank and Taraji P. Henson, who plays Yesss. "I love it," said Silverman, an outspoken comedian known for advocating for women's rights. "You see how far Disney has allowed itself to grow and change, and be more inclusive and more progressive? You can't keep on existing if you don't change and grow with the times. With me, Taraji and Gal's character, it's nice to see." In the past, Disney has been criticized for having a lack of self-sufficient female characters who focused more on their physical appearance and being reliant on a man. That pattern began to change over the years in films such as "Tangled," "Brave" and "Frozen." With the "Ralph" sequel, the studio is taking "girl power" a step further as directors Phil Johnston and Rich Moore wanted to incorporate more "strong and complicated" female characters. "This studio is the birthplace of a lot of these stereotypes," said John C. Reilly, the voice of the massive, overall-wearing Ralph. "It's really an amazing and commendable thing that Disney has recognized. ... As a man, it's not really my lane to talk about these issues. But I do think if things are going to change, men and women have to both talk about this stuff and embrace gender equality, and think of women's rights as humans. I was a strong advocate for balance in our story." The sequel is a follow up to the 2012 Oscar-nominated "Wreck-it Ralph." This time, Ralph and Vanellope's friendship is tested after leaving Litwak's video arcade to travel through a Wi-Fi connection that ultimately delivers them into the fast-paced internet dimension. They venture into an unfamiliar world exploring major brands from Twitter to Amazon, online shopping, the dark web and visits inside Walt Disney Studio's website. Johnston said the film's imaginary of the internet mimics the look of a New York City or Tokyo. It's where Ralph and Vanellope meet Gadot's Shank, a gritty street-racing star, and Henson's Yesss, who is the head algorithm of the trend-making website BuzzzTube. 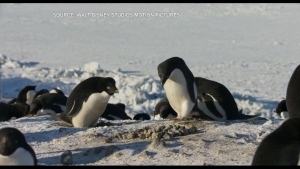 "It's like they're small-town kids who are now in the big city," said Moore, who directed the first "Ralph" film and the Academy Award-winning "Zootopia." "This is a movie about change. I'm glad that we took the more challenging road." "Ralph Breaks the Internet" offers an animated glimpse inside their parent company's website showing several characters from Marvel to "Star Wars." 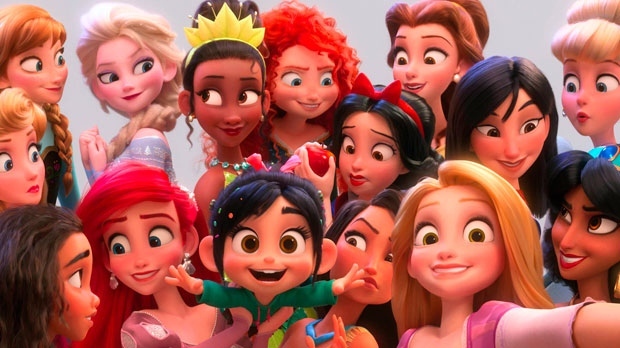 The film also highlights the Disney princesses in a scene where all stereotypes and cliches associated with the animated icons are dealt with head-on. Initially, the princess scene faced backlash from fans in August after a publicity photo surfaced online showing Princess Tiana with lighter skin and a thinner nose compared to the version in the black character's stand-alone Disney movie, "The Princess and the Frog." The studio ultimately reanimated the character after meeting with actress Anika Noni Rose, who voiced Tiana in the 2009 film, and members of Color of Change, a civil rights advocacy organization. "Our goal is to make this film as perfect as possible as we can," Johnston said. "I hope everyone knows we love this character as much as anyone." Henson called Tiana's reanimation a "brilliant move" by Disney. "If you know about it, you do better," said the actor, who is black. "But Disney has a history of pleasing the people and appealing to the people. They're a standup company. They did the right thing. I'm glad I'm in the film. I'm glad I'm in business with people who are on the right side of history, with no ego. Listening to the people who pay their money to see the film is a smart business move, but it also shows you care."